Production Blurb: Annie loves the past. Curtis lives for the future. Together they host The Schuylkill River Project, Philly's hottest history podcast...at least among its dozen listeners. When an unearthed artifact reveals a buried story, the political suddenly gets personal for our queer co-hosts. 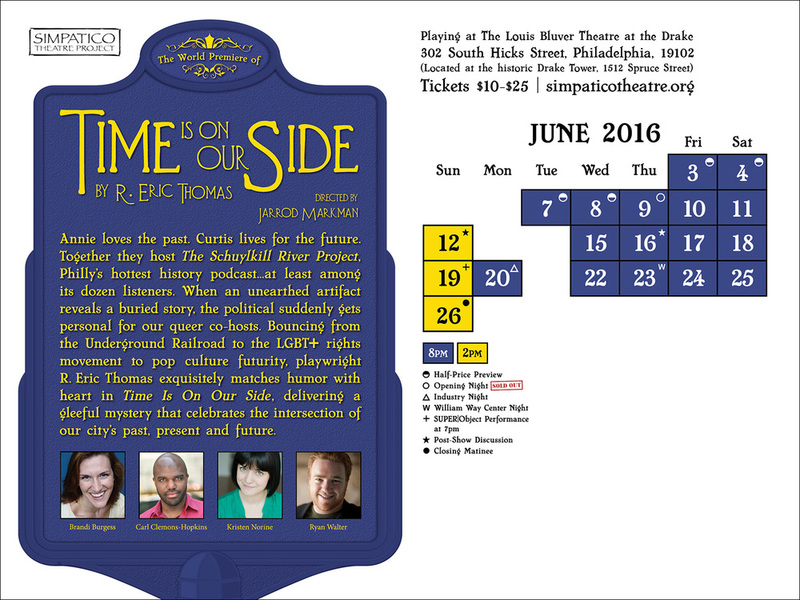 Bouncing from the Underground Railroad to the LGBT+ rights movement to pop culture futurity, playwright R. Eric Thomas exquisitely matches humor with heart in Time Is On Our Side, delivering a gleeful mystery that celebrates the intersection of our city's past, present and future.